After the Leek Town game this coming Saturday the club are hosting a Race Night. 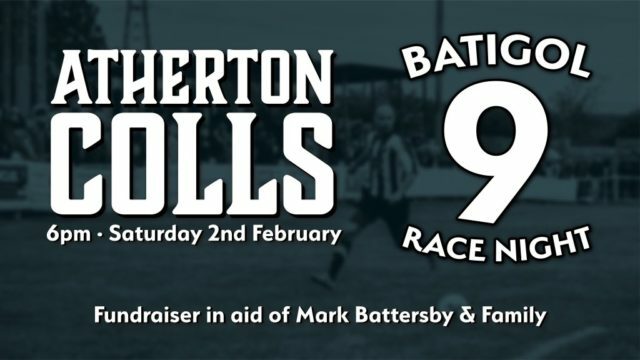 It starts at 6pm and all proceeds from the evening will be passed onto club legend Mark Battersby. Mark is currently awaiting a kidney transplant which is being donated by his mother Ann-Marie. The operation is due to take place imminently. Mark’s record of 62 goals (66 if you include the Bolton Hospital Cup) in the 2014/15 is a record unlikely to be surpassed. 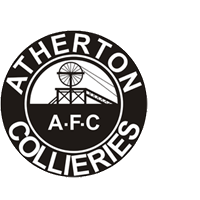 He bagged 121 goals in 126 games before his career was curtailed at the end of the NWCFL Championship winning season of 2017/18. Who will forget his hat-trick in the MEN United Cup, his near post headed goal when just millimetres off the ground at Holker OB and of course that goal at Shildon? You will all have your own favourite memories of the greatest black n white striped #9 in living memory. If you can make it please do so and we can raise at bit of money for Mark & his family at this testing time.